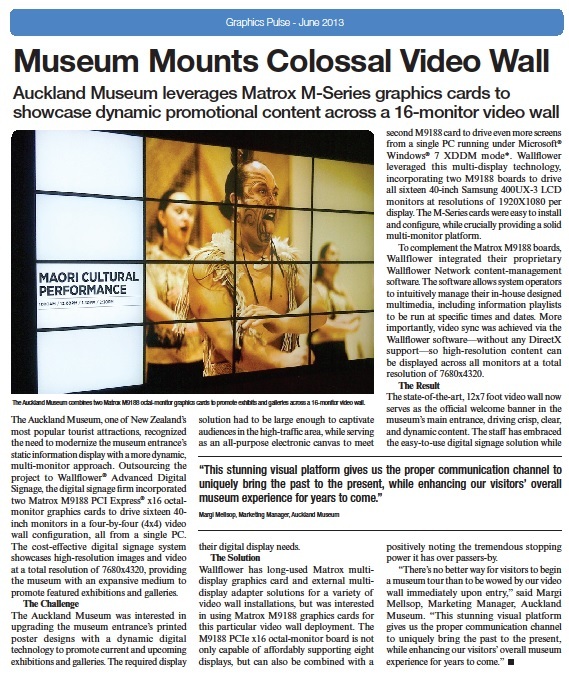 The Auckland Museum video wall has proved to be a dramatic asset to the Museum. It is an ideal example of what can be achieved using Matrox components to deliver an extremely cost-effective solution. The full Graphics Pulse newsletter is available from www.Matrox.com The extract below is reproduced by kind permission of Matrox Graphics Inc.